Outgoing Federal Reserve Governor Daniel Tarullo told CNBC on Wednesday that robust March job growth at American companies provides more confirmation of a "solid trend" of strength in employment. He also said the economy is gaining traction. 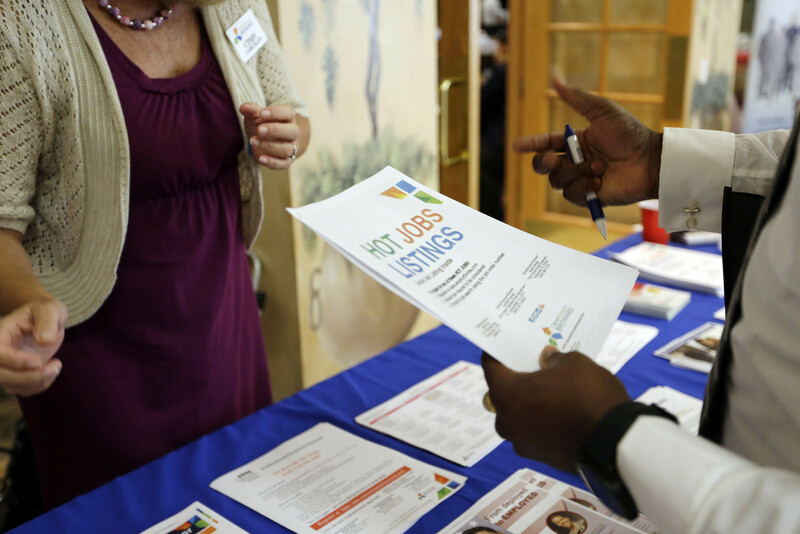 U.S. companies added 263,000 jobs in March, according to the latest ADP and Moody's Analytics private payrolls report. That was well above the 185,000 expected from economists surveyed by Reuters. The government reports its March employment report on Friday. Despite a better labor market, the CNBC Rapid Update, which tracks the outlook for economic growth, puts the median gross domestic product estimate for the first quarter at an advance of just 1.2 percent. "Every year, it does seem as though the Q1 numbers are somewhat lower than people expected," Tarullo acknowledged. "The residual seasonality question continues to linger." But forward indicators — including numbers on jobs, durable goods orders, and consumer confidence — also bode well for second quarter growth, he said. "There's also a fair chance that Q2 numbers are going to look pretty good." Tarullo appeared on "Squawk Box" on his last day at the central bank. The 64-year-old, a tough regulator on the banks, announced his plans to retire in February. The next Fed meeting on interest rates is on May 2-3. Central bankers put one rate hike for 2017 on the board at the March meeting. A major debate on Wall Street is whether the Fed increases rates two more or three more times this year. There's also talk about when the Fed may start to wind down its $4.5 trillion balance sheet, which has swelled over the years through multiple rounds of quantitative easing, bond-buying and other loose-money measures. It's time to start "in thinking about" a balance sheet reduction, said Tarullo. "The question ... is how one pairs that with interest rate normalization." Meanwhile, Tarullo said that as President Donald Trump and GOP lawmakers seek to wipe regulations off the books, he'd like to see banks hold more rainy day capital. His appearance comes a day after Richmond Fed President Jeffrey Lacker announced his immediate resignation, admitting that in 2012 he discussed sensitive information with an analyst a Medley Global Advisors regarding the central bank's plans at the time for economic stimulus. This episode is a cautionary tale to Fed policymakers to be aware of the rules and not skirt too l close to them, Tarullo said. Lacker's resignation was negotiated with law enforcement officials, CNBC had learned. No charges will be filed, according to Lacker's attorney.